Thus intones New York art-kook Laurie Anderson in the song Let X=X on her 1982 album Big Science. It’s a great song on a great album by a woman who once chose Lou Reed over me without ever even doing me the courtesy of knowing I exist. Nonetheless she is great also. You should buy Big Science. You’d like it. She recorded a very fine album called Strange Angels too. 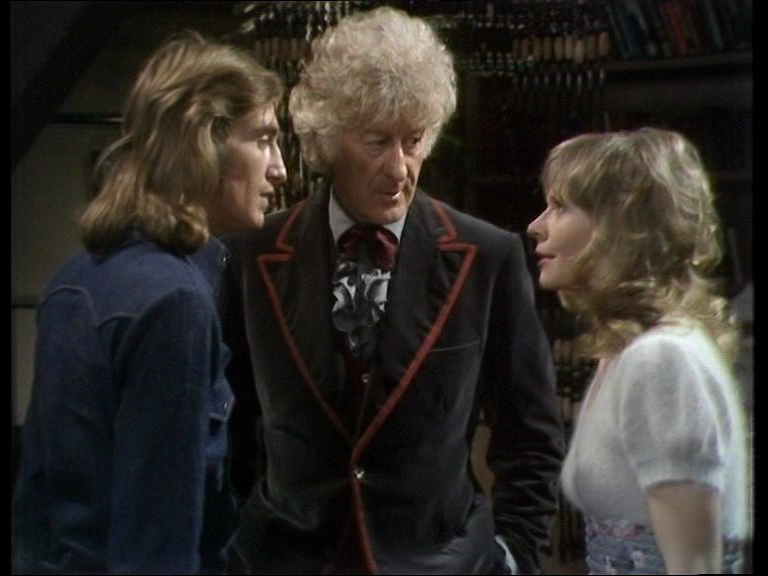 The Doctor Who episode The Angels Take Manhattan has its characters taking their cues from a book which one of the characters will write subsequently. This book, Melody Malone, contains the line “I was packing cleavage that could fell an ox at twenty feet”. There is no obvious dramatic connection with Laurie Anderson, but I was struck by the closeness of the wording, by the idea of the narrator being aware of their book, and by the evoked imaginary New York space. For a not particularly old city New York has a great deal of accreted history. This is very visibly evident in Manhattan where, in the absence of archaeological depth, there is an extensive stratified narrative moving upwards in the borough’s architecture. 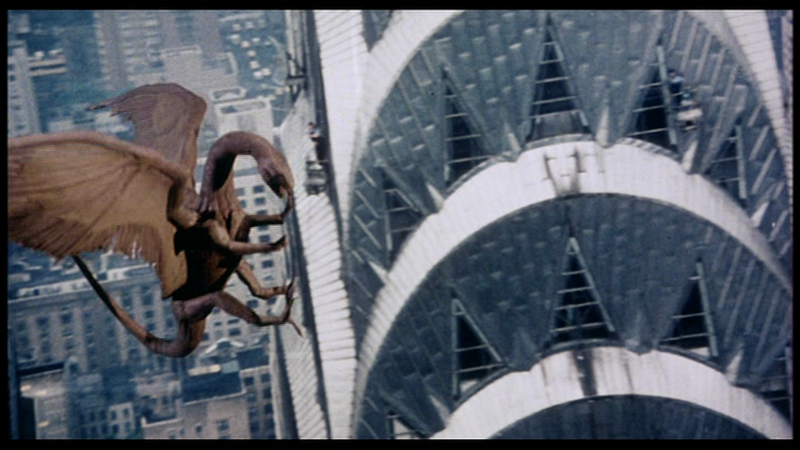 Horror movies have made great use of this from King Kong’s energetic trapezing round the Empire State Building in 1933, through the vitrified implacability of Polanski’s Rosemary’s Baby, to the post-9/11 trauma of Cloverfield. 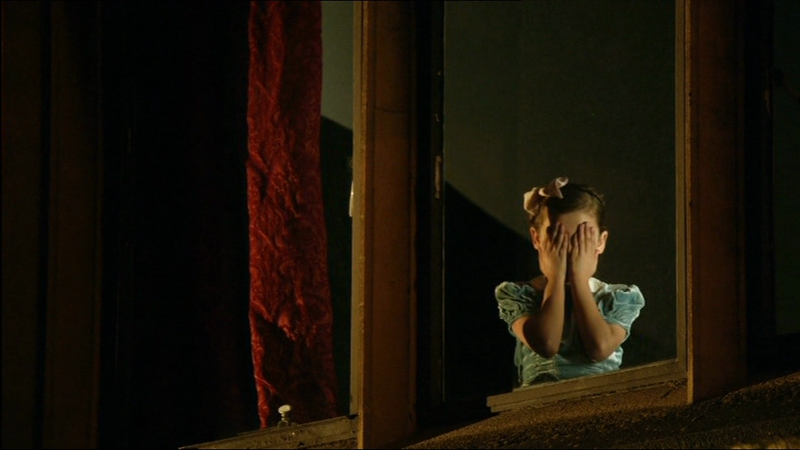 The city’s adorning accoutrements have not escaped the attentions of filmmakers either. 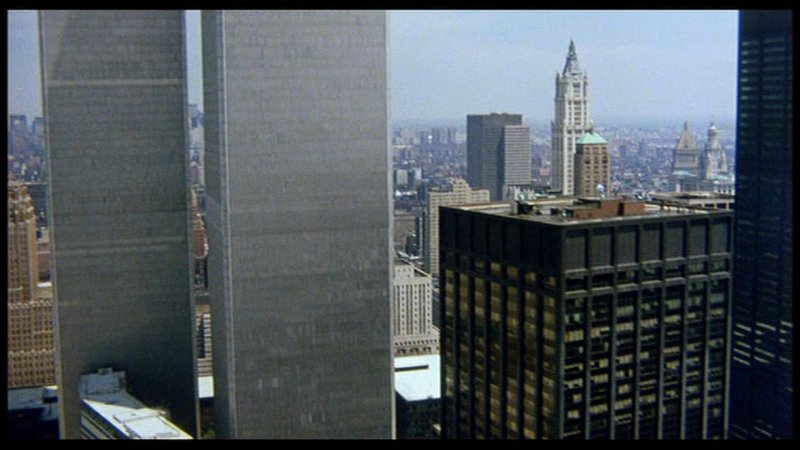 The Art Deco style and radiator cap finishings of The Chrysler Building make a brilliant location for Larry Cohen’s 1982 horror film Q – The Winged Serpent. It’s a mad, skippy movie about an Aztec god biting the heads off window cleaners above, whilst the street cops investigate down below. Cohen filmed it semi-guerrilla style. Presumably this was a financial consideration first and foremost, but it has aesthetic advantages too, keeping matters fast and character-based. 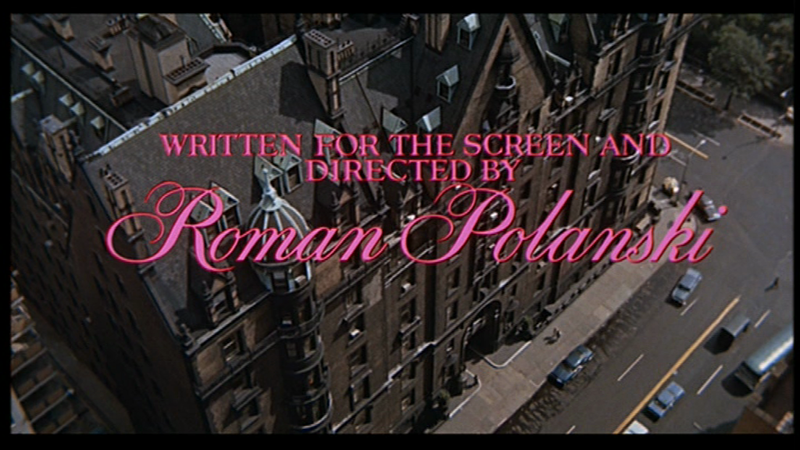 Is there much left to be said about the two Ghostbusters movies? I shall let a picture take a stab at representing a thousand words instead. 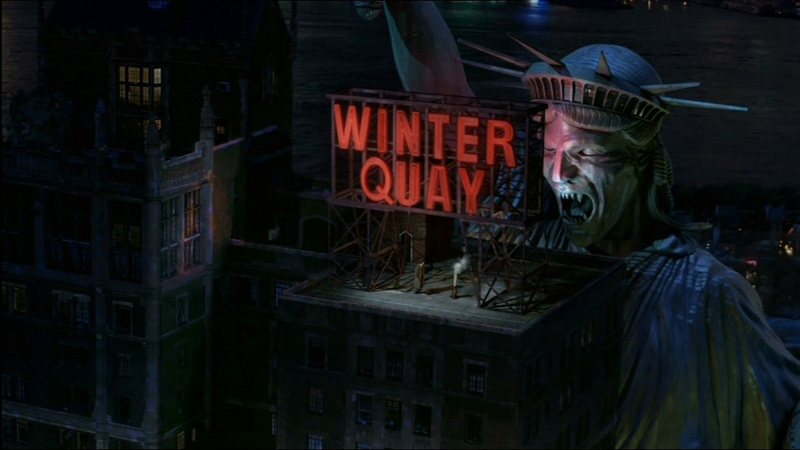 Doctor Who itself has had fun in New York before. A brief segment of the chaotic 1966 story The Chase takes place on top of the Empire State Building. 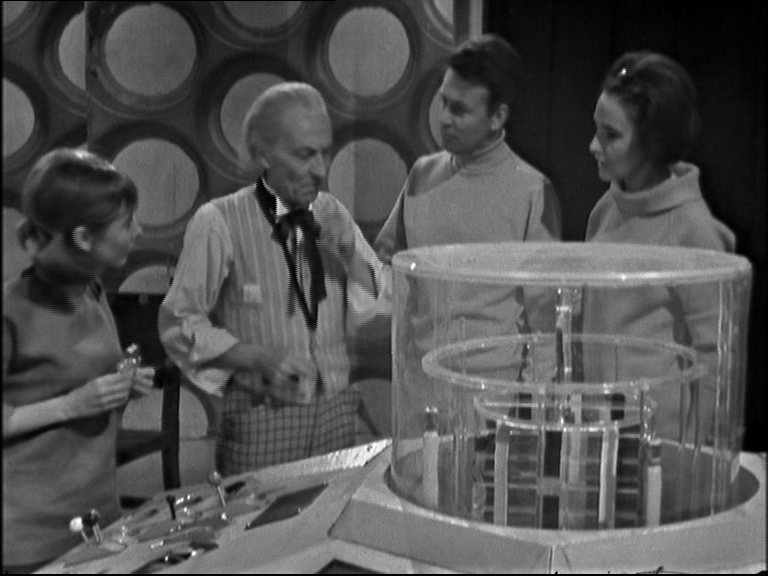 The Doctor, Ian, Barbara and Vicky land and then take off in short order pursued by a Dalek Incursion Squad. It’s a long story. Really quite a surprisingly long story. The only witness to events is the gawky Arkansas tourist Morton Dill played by Peter Purves, still a long way from the subsequent dignity of, oh let’s say Junior Kickstart. 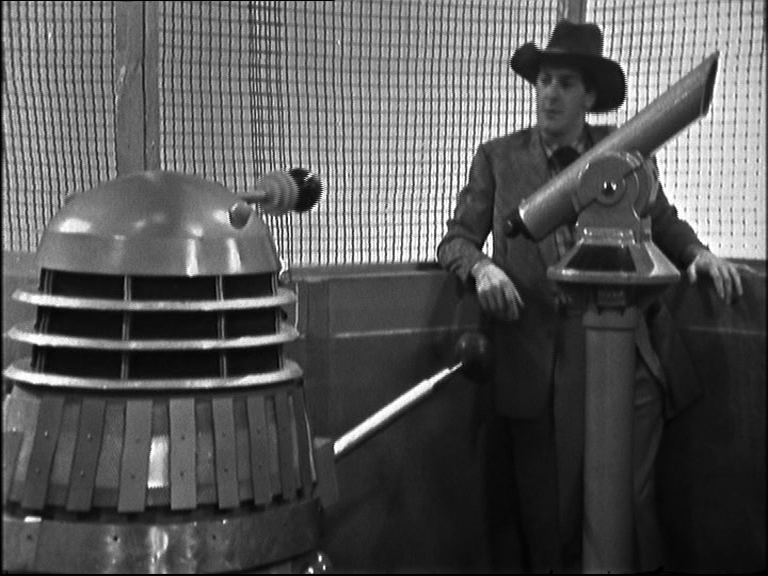 In her brisk, endearing two-parter Daleks In Manhattan/Evolution Of The Daleks (2007) Helen Raynor gives us a surviving Dalek faction using the construction of the Empire State Building in the thirties to cover a project in which the Dalek and human races are being hybridised. Makes kind of sense too, which is a thing we expected from stories back in the olden days of five years ago. 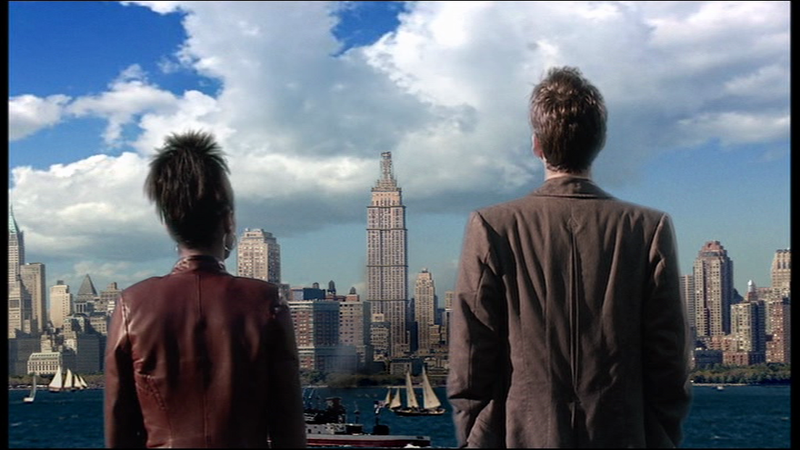 And now we are back for The Angels Take Manhattan, the final Amy and Rory story, the hype for which has been, candidly, ridiculous. Now, I love Steven Moffat. He is a witty writer who has managed to keep the Russell T Davies fun-times going whilst simultaneously introducing his own subverting, necrotic darkness. In particular he has proved himself to be breathtakingly adept at the impossible PR tasks that are ancillary to his job as show-runner. Writing well, structuring a series, keeping secrets, engaging with an unimaginably frothy fan-base. He has done it all with some verve. 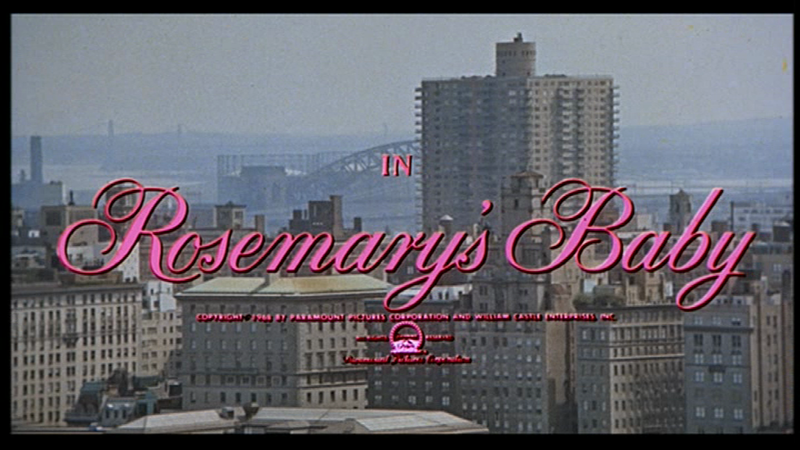 The run up to The Angels Take Manhattan has however felt a little galumphing to me. 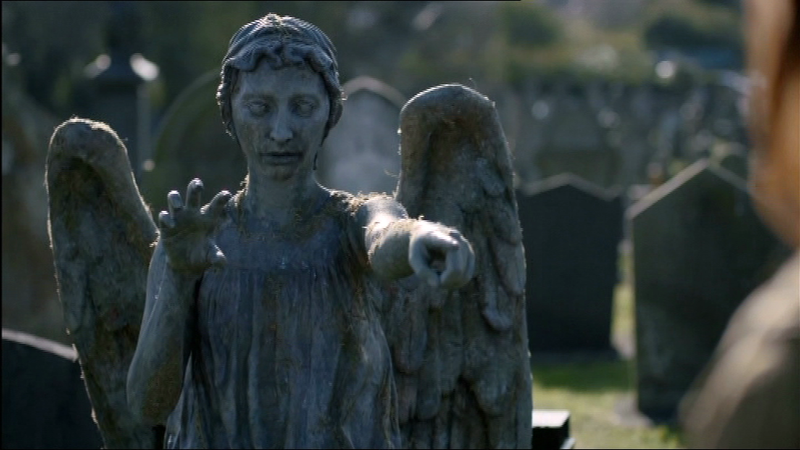 For the last six months Moff appears to have been bobbing up and down everywhere, a chuckling psychopomp, promising Amy and Rory’s demise and averring constantly that we, the audience, will cry. I personally don’t like audience manipulation like that, but if that was his brief, to provoke a grief storm, then the job has most assuredly been done. The wailing and gnashing of teeth has nearly broken Twitter. The dread beforehand was touchable. The subsequent emotional outpourings make the Lamentations of Jeremiah look and sound like a tiny, sad face emoticon playing a quiet kazoo. That’s impressive. Left me a bit cold though. My inability to engage with the story feelinglingly is my shortcoming, I accept. Maybe it is my age. 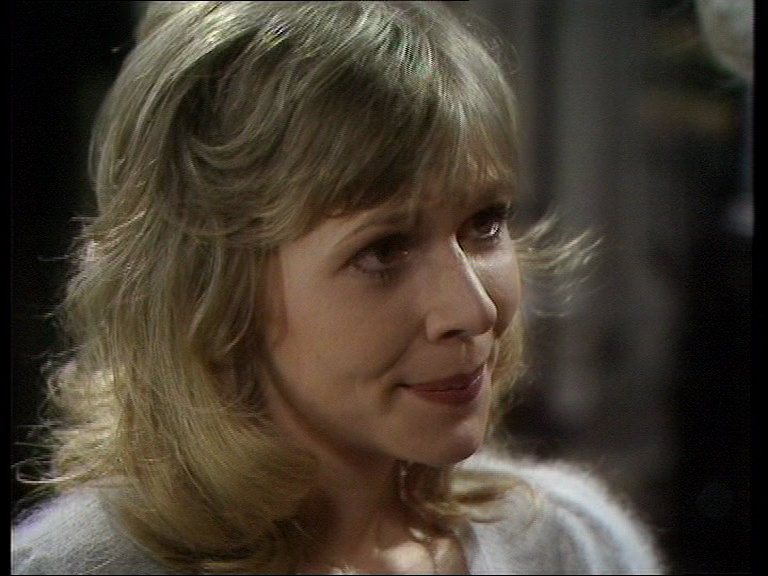 Certainly as an eight year old in 1973 I sobbed my tiny, adorable eyes out when Jo Grant (Katy Manning) eloped with that Welsh hippy from the Wholeweal. I have clearly lost a lot of sentimental ability since then. So what do we have here in The Angels Take Manhattan? Our detective’s rates are taken almost verbatim from Marlowe’s tariff in The Big Sleep of “twenty-five a day and expenses – when I’m lucky”. 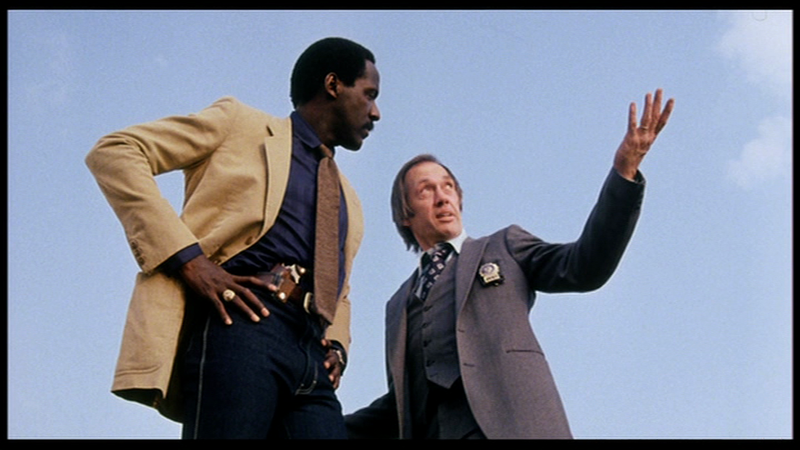 Even our detective’s name, Garner, to someone of my age (and the age of the Moff) means one thing above all others: The Rockford Files. I absolutely missed that first time round. 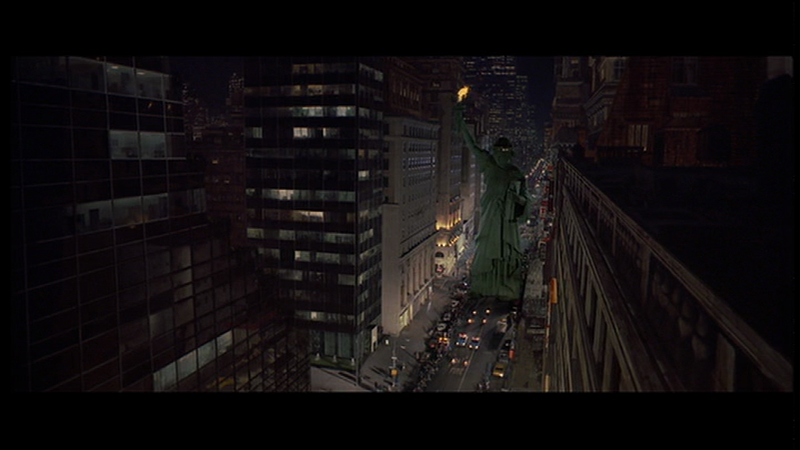 In present day New York Rory is zapped back in time by the city’s infestation of Angels. 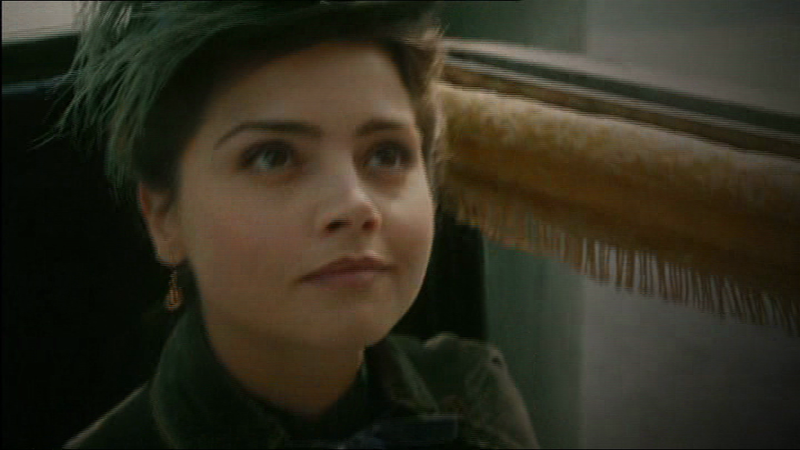 The Doctor and Amy become aware of this through the novel the Doctor is reading. They travel by TARDIS back to the thirties, discover that the Angels are effectively battery-farming humans using looped time. (A chronic hysteresis we used to call that.) 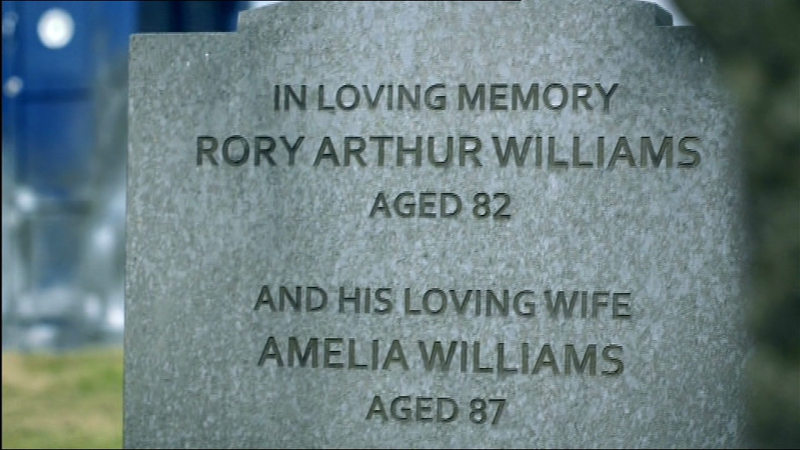 Rory kills himself, taking Amy with him, causing a paradox. Everything snaps back to where and when it should be. 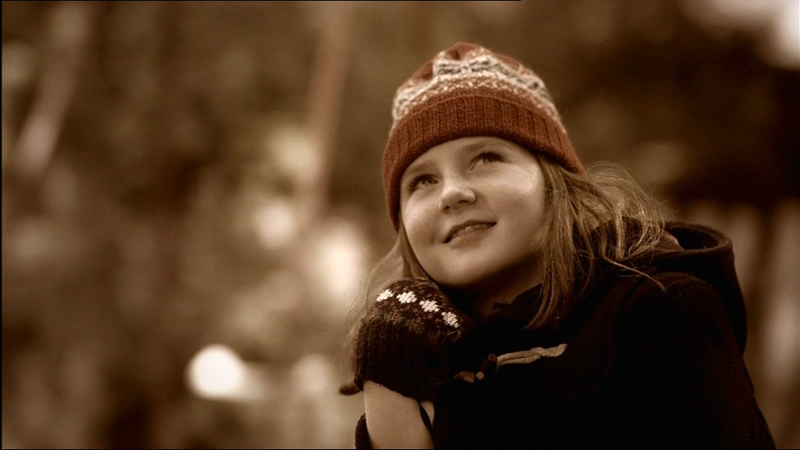 Except there’s one last Angel which transports Rory back again. Amy follows. 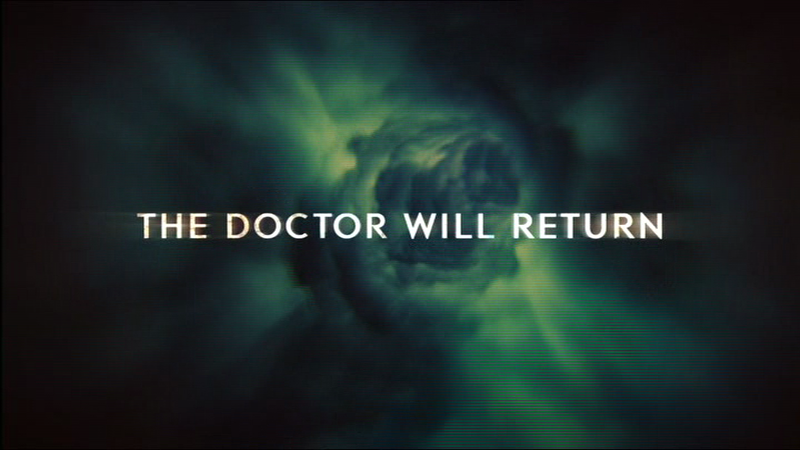 The Doctor says they are fixed in time now and lost to him. I want to state that clearly because I am about to list a couple of things I flat out don’t understand. That does not mean I am down on the story. 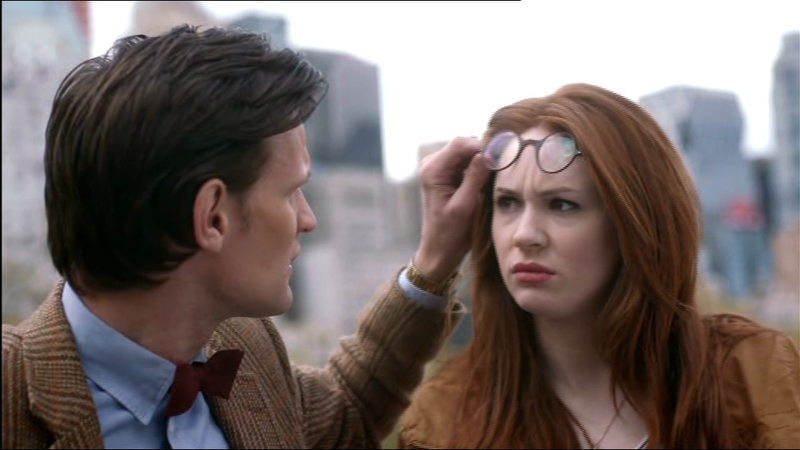 It doesn’t mean I don’t understand how important the closure of Amy and Rory’s saga is. All it means is that I want to ask these questions so that they are off my chest. What is River doing in the thirties? How does the Angels’ battery farm work exactly? You lure someone to a trap. They see themselves as an old person. You zap them back in time, and then what? You get that “time energy” once and once only. Now you have the corpse of an old person on your hands. It’s not a self-starting causal loop at all. Why does the guy from off of Whose Line Is It Anyway keep all those statues in his house anyway for Christ’s sake? How come the Angels can do stuff whilst they are being watched now? Blowing out candles, zapping Amy away and so forth? Is there ever actually a point when no one is watching the Statue of Liberty and it is free to go for a walk around? 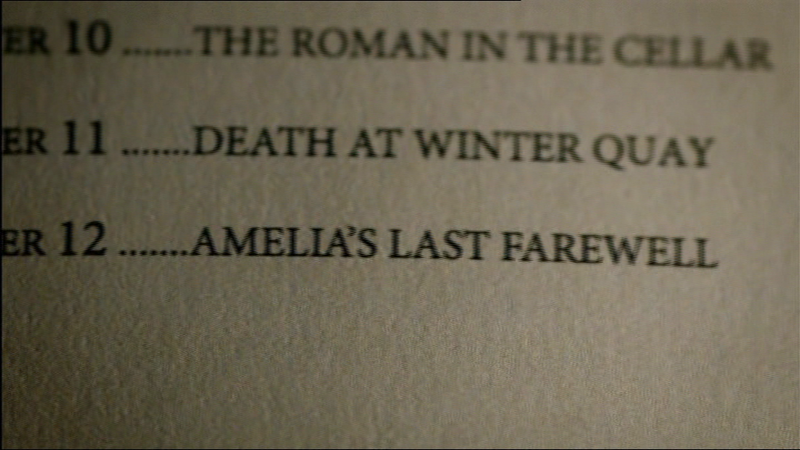 If the Doctor can’t see Amy any more then how come River is able to give her the manuscript of a book for publication? And how would a book get published with that daffy afterword anyway? 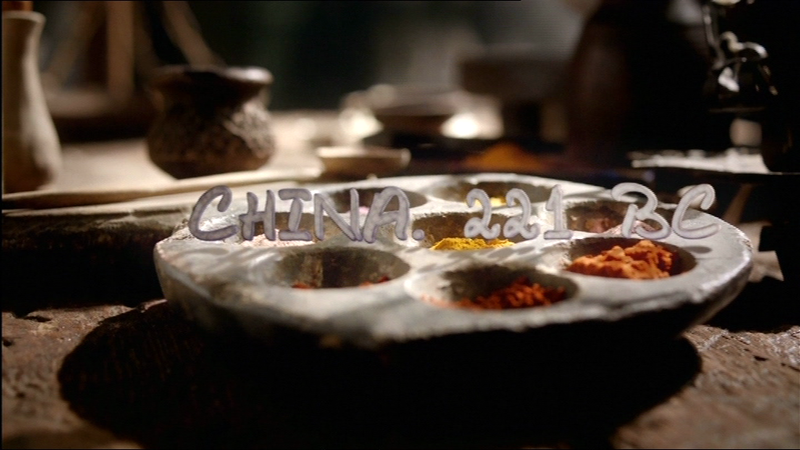 It’s a device that makes sense with the DVD Easter eggs in Blink, but which is much more of a stretch here. 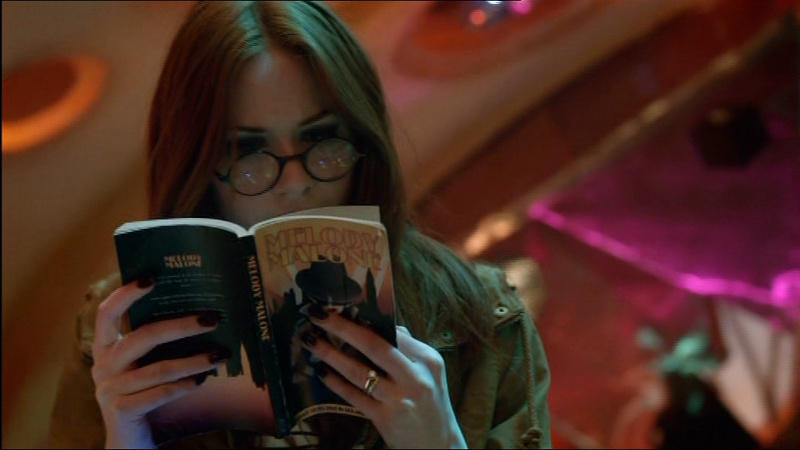 And how does the Doctor end up with the book? The scripted line “explaining” it is awful. None of this matters of course. It is stuff from the top of my head based on two fairly casual viewings. Some of it may be stuff I just don’t get. The rest of it is trivial. 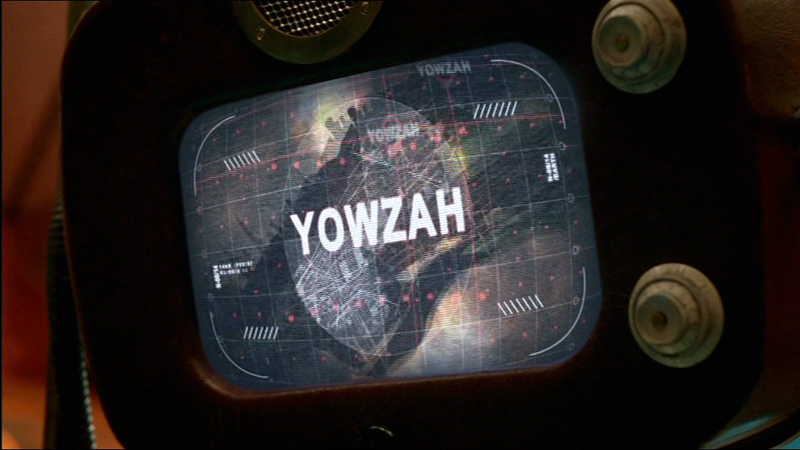 The validity of this episode lies in its emotional truth rather than in any ideas I have about what constitutes coherent storytelling. And whilst I may find that emotional truth somewhat elusive at the moment, millions of others don’t. And it is worth my while remembering that my eight year old self would not have taken too kindly to your telling him that chemical waste doesn’t make maggots mutate into giant versions of themselves, because in The Green Death it just did. 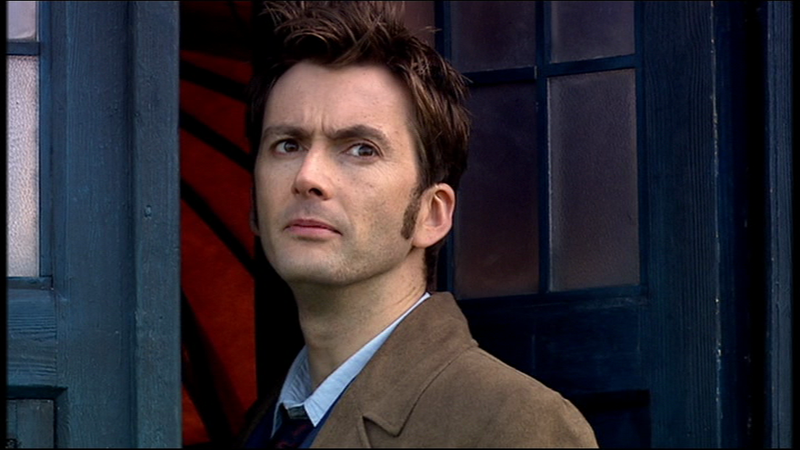 This is a story written for the adoring fans of Amy and Rory and in that role it succeeds one hundred percent. 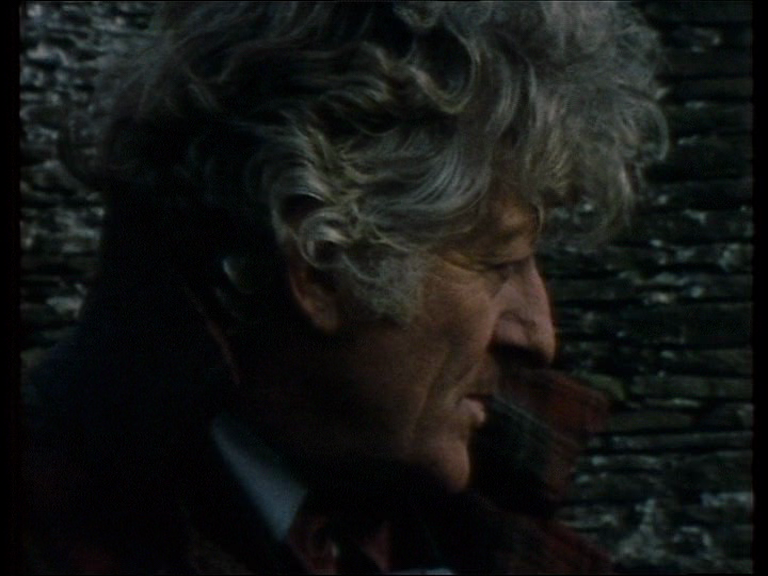 I did not much care for the way the Doctor was sidelined, emasculated, rendered powerless and petulant, and slapped by his wife. Poor me. That’s just the way the programme is this week. It has changed before. It will change again.